The Saint Louis Zoo was a very different place 100 years ago. The Saint Louis Zoo is a pillar in the city's cultural hub of Forest Park, and its mission puts animal welfare and conservation at the forefront. That wasn't always the case. 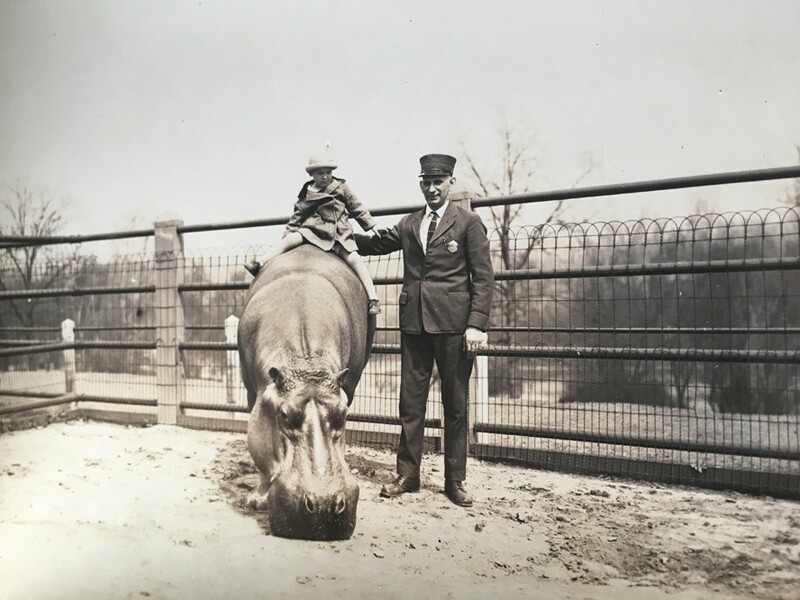 A century ago, the free zoo was akin to something between a safari and stationary circus — and its ringleader, George Vierheller, the Zoo's first director, was known as a showman with a flair for putting on animal shows. And it is Vierheller's showmanship reflected a recently uncovered booklet of zoo photos dating to the first quarter of the 20th century. 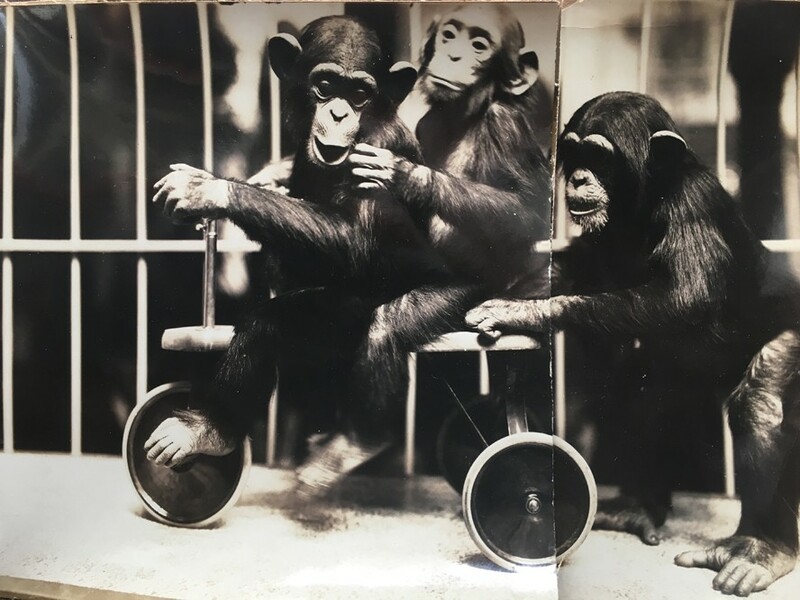 The photos reveal a zoo that treated its animals primarily as entertainment. 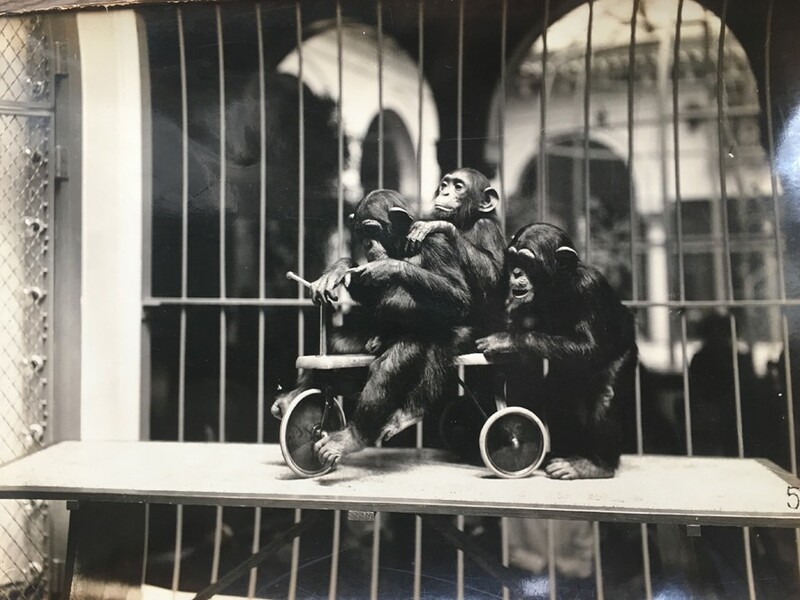 Chimpanzees and monkeys are shown dressed in human clothes and perched on bicycles. Granted, these days it is common to clothe dogs in sweaters for warmth, but the primates photographed nearly a century ago in St. Louis were forced to wear top hats — and spats. A particularly busy orangutan appears in several photos wearing different versions of an outfit that includes a full jacket and trousers. 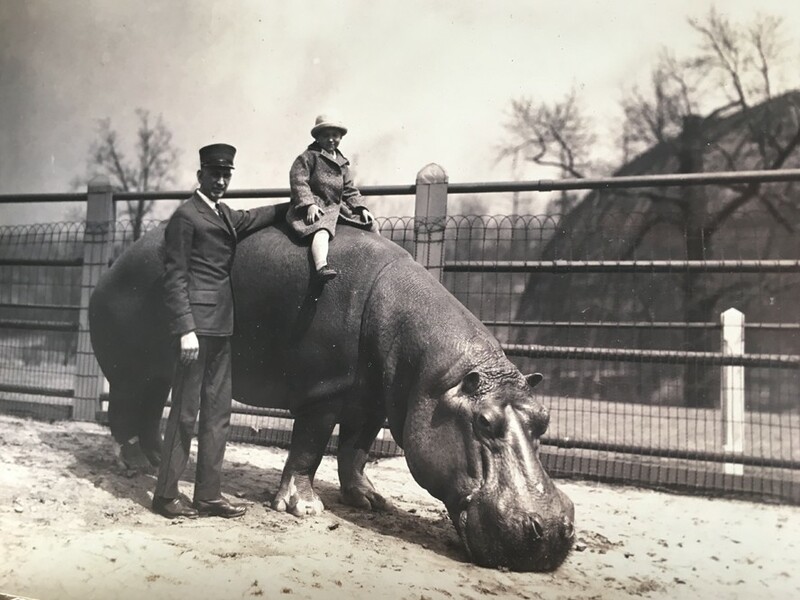 Even more startling than the costumes are photos like this one, which shows a keeper standing next to a small child who is sitting atop the bare back of a hippopotamus, riding the notoriously ornery ungulate like a pony at a petting zoo. It wasn't just the hippo that the zoo turned into a hands-on attraction. 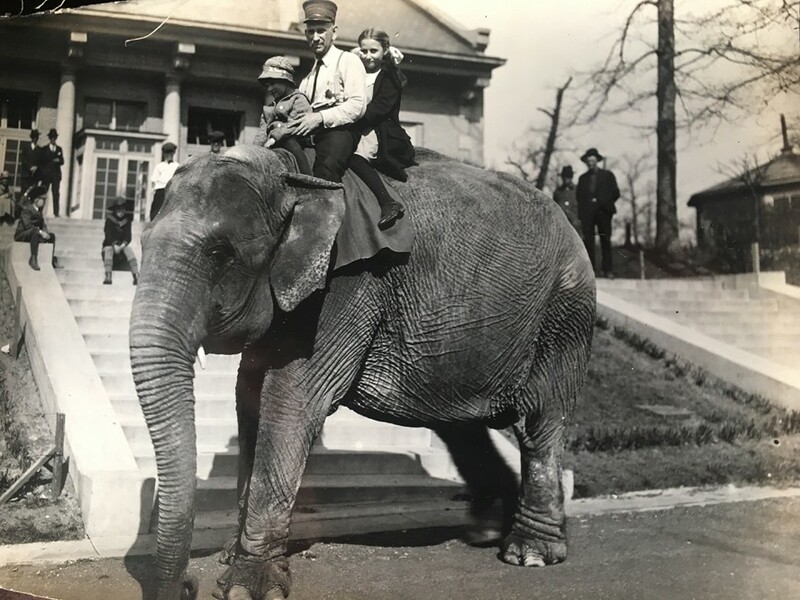 In that era, guests were even permitted to ride elephants through the zoo's pathways. 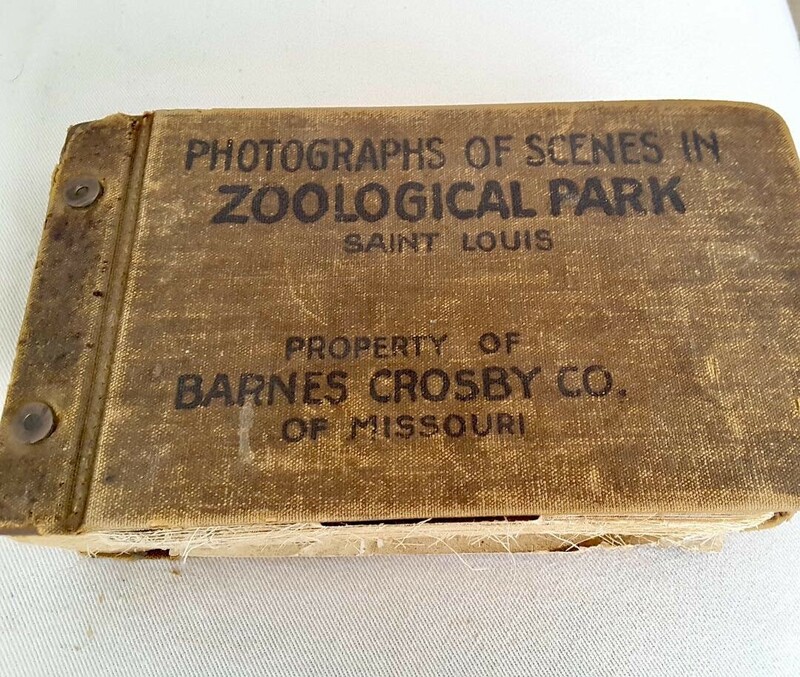 The above photos are found in a 113-photo booklet titled "Photographs of Scenes in Zoological Park Saint Louis," published by the Barnes Crosby Company. The booklet eventually wound up in an auction in Arnold, says Chelsea Miller, who provided the photos to RFT. Miller can trace the booklet's provenance only as far back as the early 1970s, since the booklet itself does not specify when was published. 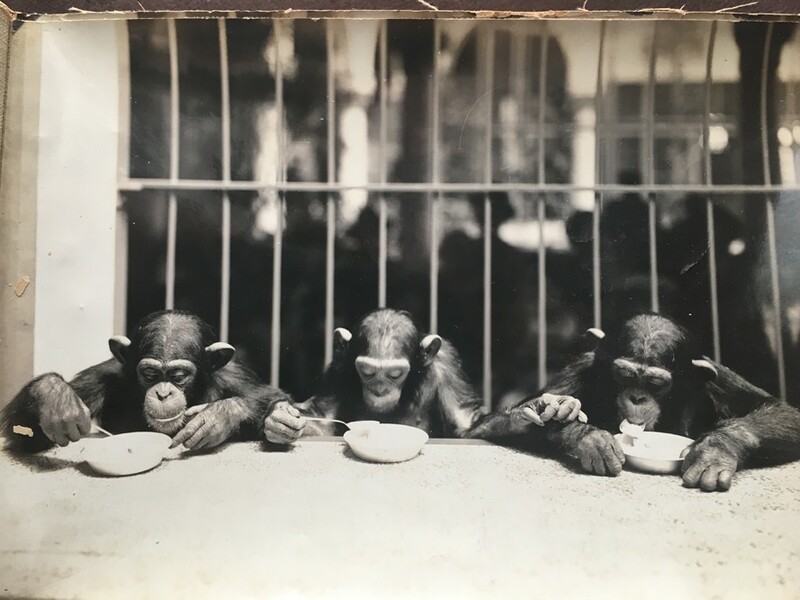 Miller says her mother estimates the photos originated in the 1920s — and that decade does indeed appear to be reflected in the black-and-white images, says zoo public relations director Billy Brennan. 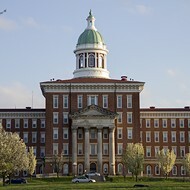 Brennan identified the photos as the work of photographer O.C. Conkling, the official photographer for the Zoological Society of St. Louis. "I can tell you that these photos were taken before 1930," Brennan writes in an email. 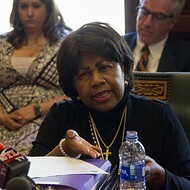 "We know that because the building that was the original elephant house is pictured behind Miss Jim the elephant and the Bird House (which opened in 1930) is not attached. The orangutan that is pictured was named Sam and the hippo is named Steve." 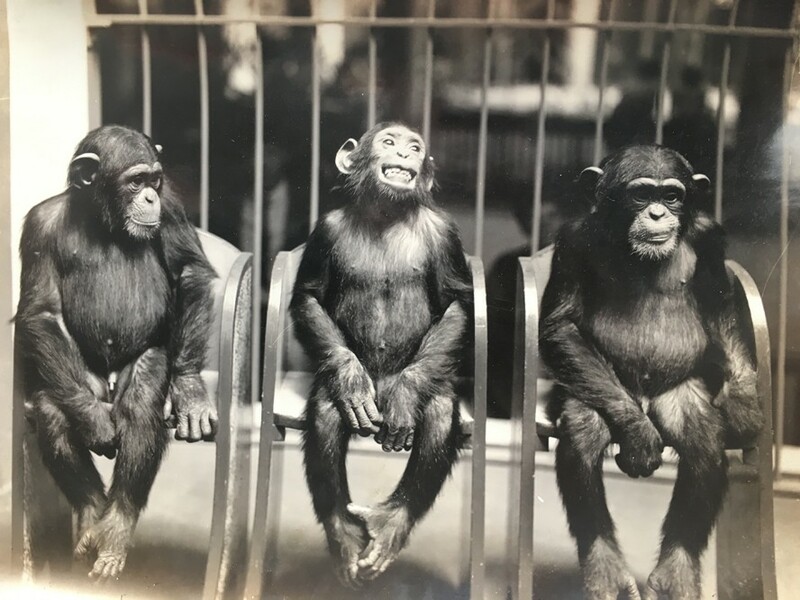 Brennan stressed that while photos reflect the zoo's entertainment-centered philosophy, the practice was halted by Saint Louis Zoo Director Charlie Hoessle, whose directorship began in 1982. "Hoessle oversaw some of the biggest changes in the Zoo’s history – the phasing out of most of the animal shows, the development of more naturalistic habitats, and the creation of the Education Department," Brennan writes. These days, the zoo's version of entertainment — such as its sea lion show or Children's Zoo — reflect a show philosophy that "has evolved in response to a deeper understanding of the animals’ complex social needs." "Gone are the costumed characters performing behaviors without context to their natural history," Brennan writes. "The emphasis has shifted to maintaining animals in appropriate social settings and using live animal demonstrations to promote respect for animals." "To conserve animals and their habitats through animal management, research, recreation, and educational programs that encourage the support and enrich the experience of the public." Thankfully, that mission is accomplished today without forcing monkeys into top hats. Update March 12: A previous version of the story incorrectly identified the individual in the above photos as zoo director George Vierheller. 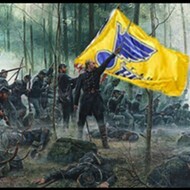 The story has been updated. We regret the error.